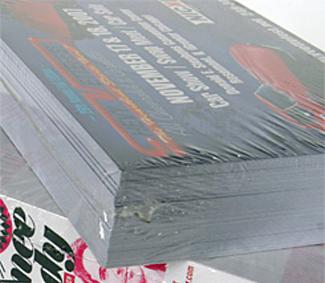 Shrink wrapping is how we package materials in smaller quantities before shipping. We use an electronic scale to weigh each quantity before wrapping each set in plastic and placing on a conveyor. Each package moves through an oven where the plastic shrinks and forms a tight seal around the set.